I created some simple Shortcuts in the new iOS Shortcuts app (iOS 12) to be invoked by Siri. Like: "Goodmorning Siri, start my morning routine" and then some actions. Now I also would like to let Siri say some things to me, as simple as: "Hello Jeroen, I hope you have a good morning". 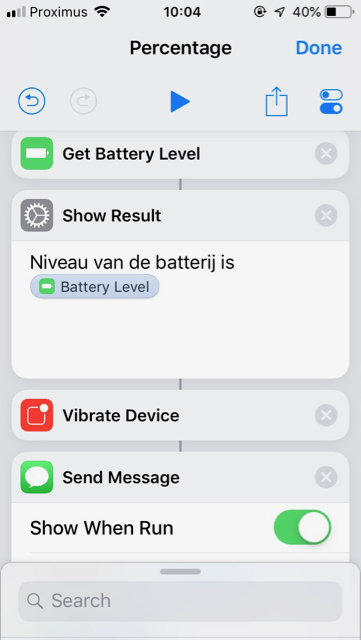 I am supposed to use the "Show result" actions for this, this action should result in spoken feedback if the shortcut is executed via Siri. The problem is: "Show result" text is not spoken (Siri feedback) by Siri when the shortcut is invoked via Siri. Actions that come after the Show Result action are executed. Shortcuts allows for this, but not with the default Siri voice. In order to add speech into your Shortcut, you need to add two objects into your script. First: "Text". Second: "Speak Text". The following screenshot should help. 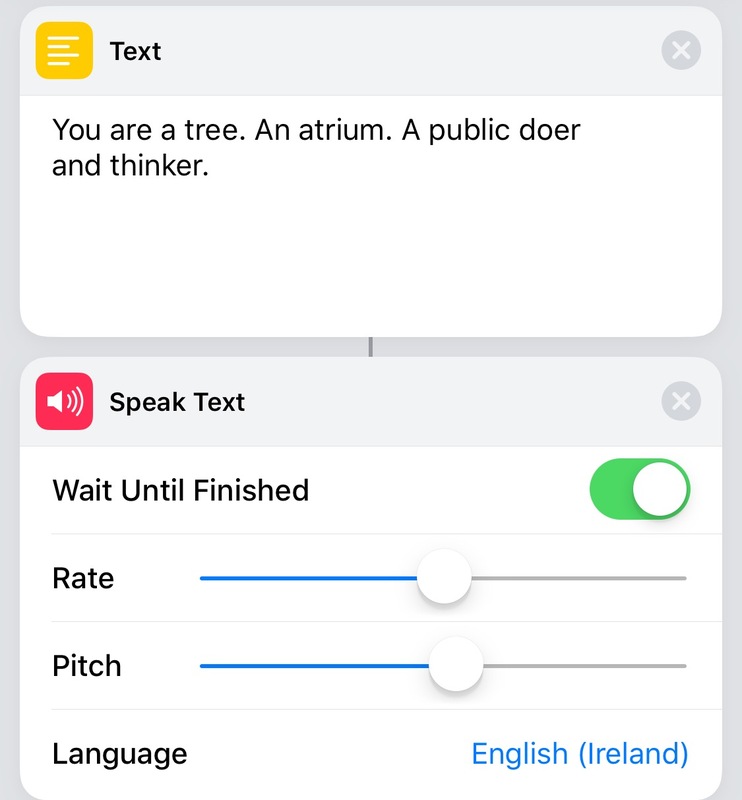 Alter the contents of the Text box to your liking, and tweak the language, speed and rate to your liking in Speak Text. Hope this helps! Seems others are having a similar issue. Over in r/shortcuts, there's an indication that to achieve what you want, you must use both Speak Text and Show Result. It could be a bug, or it might be limited to particular devices. I have the beta program, and it works fine. It's likely just a glitch they are planning on patching in their next update. Not the answer you're looking for? Browse other questions tagged siri ios shortcuts-app .